Nakiryu means “Screaming Dragon” in Japanese and they’re the second ramen shop to get a Michelin star after Tsuta. The ramen they do is very different from the light tasting Tsuta – Nakiryu’s tantanmen is unapologetically heavy, spicy and rich. 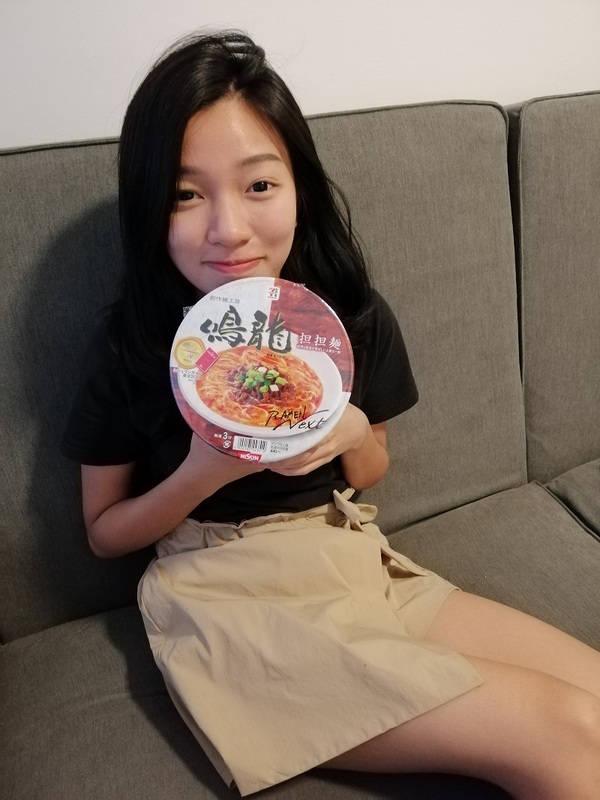 I’ve eaten a previous version of their instant noodles (also by Nissin) in 2016. This was before they’ve won their Michelin star and the Nissin version then was in cup noodle format with all the seasoning and dehydrated protein bits inside the noodles. There was a sachet of hot oil to finish the ramen with and it tasted really good and nutty. Their latest is a collaboration with 7Eleven Premium Japan. 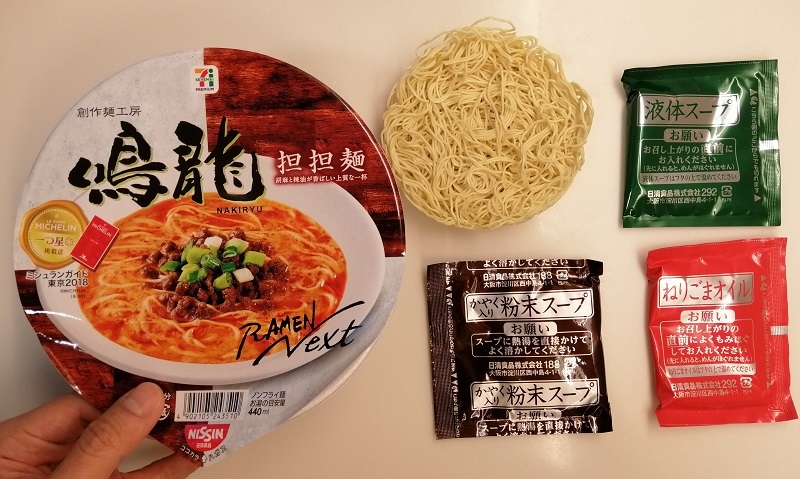 The recipe has been refined and inside the bowl ramen is a packet of powdered soup and dehydrated meat, a sachet of hot oil and a pack of finishing oil. You’re only supposed to put the powdered soup + dehydrated meat inside with the noodles when hot water is added. The other two goes on top of the lid to absorb residual heat and they’re only added when the noodles are done. Nakiryu’s broth is so thick and creamy it’s almost like a starchy stew! There’s also bits of dehydrated meat inside to add texture. This is a type of ramen called tantanmen which is a Szechuan inspired ramen dish. It’s spicy and flavorful and there’s nutty undertones in the soup base. This isn’t a refined and gentlemanly ramen like Tsuta – the Nakiryu instant ramen is overpoweringly in-your-face. 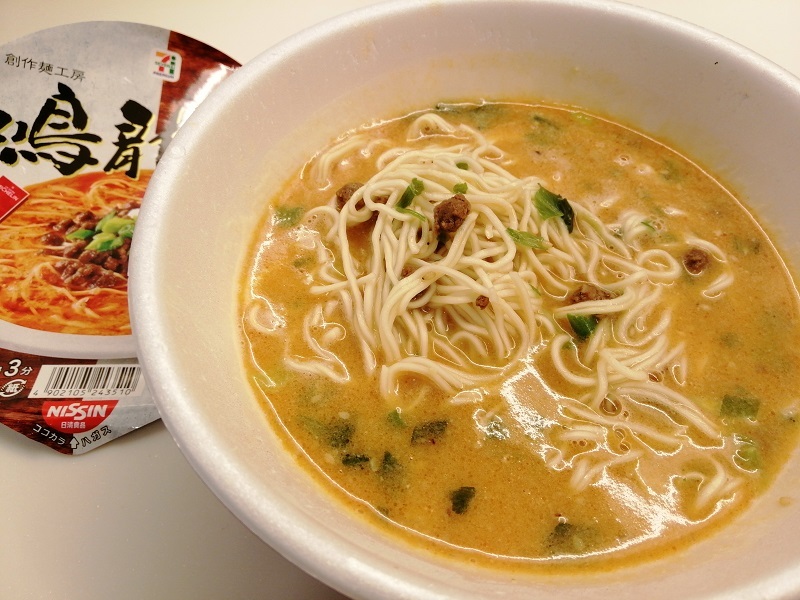 I liked it but the previous discontinued cup version had a better ratio of dehydrated meat to noodles. The portion in this variation seems miserly in comparison. The powdered soup base also didn’t fare as well as Tsuta’s liquid soup base. 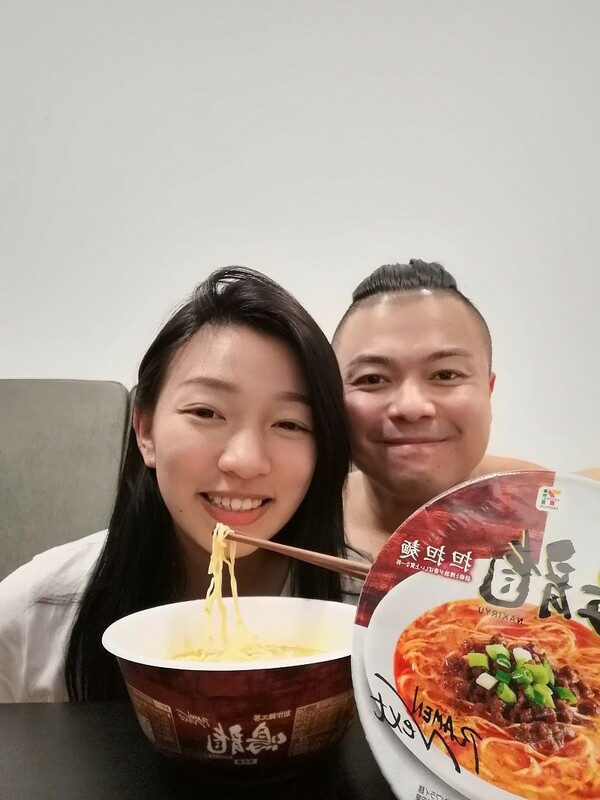 I must compare these two as they’re both Michelin starred ramen outlets that produced an instant ramen version by 7Eleven Premium. I’m glad I tried it but both Mandy and I felt it’s overshadowed by it’s much superior and delicious tasting Tsuta instant ramen sister product. Or maybe I just don’t know how to appreciate these Japanese-Szechuan flavors – I was also decidedly unimpressed by 2 Michelin star Shisen Hanten.